Propriété Les 2 Plages price per day from € 99 . 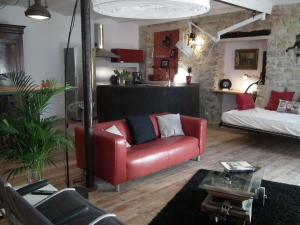 Florella Croisette Apartment price per day from € 194 . Villa Annette price per day from € 279 . Studios Alea price per day from € 107 . Residence Veles Plage price per day from € 93 . Hôtel Le Canberra price per day from € 113 . 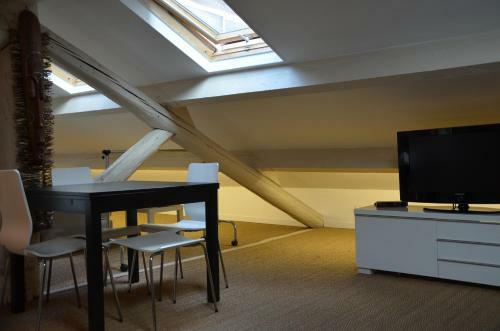 Résidence Gambetta price per day from € 80 . Hotel Abrial price per day from € 55 . L'Ancienne Laiterie price per day from € 116 . Little Palace price per day from € 55 . 6. Take the ramp to A8/Digne/Grenoble/Carros. 7. Merge onto Bd Georges Pompidou/M6202. 8. Take the ramp to Cagnes/Cannes/Aix-en-Provence. 10. Take exit 42 toward Cannes-Centre/Le Cannet. Partial toll road. 11. Merge onto Av. de Alliés/D6285. Continue to follow D6285. 12. Keep right to continue on Av. du Campon/D6285. Continue to follow D6285. 13. Continue onto Bd Carnot. 14. Continue onto Pl. du 18 Juin. 15. Turn left onto Pl. de la Gare. 16. Turn right onto Rue Jean de Riouffe. Destination will be on the left. 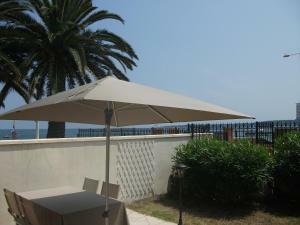 Golf club Cannes-Mandelieu (Old), 4.8 km from the centre of town of Cannes. Golf club Saint Donat, 9.2 km from the centre of town of Cannes. Golf club Terre Blanche (Chateau), 22 km from the centre of town of Cannes. Park Floral de Nice, Nice, 22.3 km from the centre of town of Cannes. Promenade des Anglais, Nice, 26.6 km from the centre of town of Cannes. Museum National Marc Chagall, Nice, 28.3 km from the centre of town of Cannes. Vieille Ville, Nice, 28.7 km from the centre of town of Cannes. Ski resort Beuil-les-Launes, altitude: 1400m. 61 km from town of Cannes. Ski resort Auron, very good nightlife, many restaurants and pubs. 75 km from town of Cannes. Ski resort Espace Lumière, recommended ski resort for experts. 90 km from town of Cannes.